Invest in this truly exquisite piece - a striking focal point for both day and evening looks. 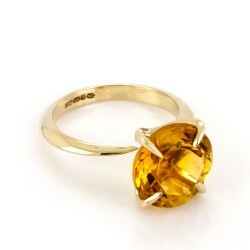 Elongated talons clasp a 5.5ct glittering golden Citrine in this elegantly tapering ring. This contemporary keepsake is an adornment to treasure forever.